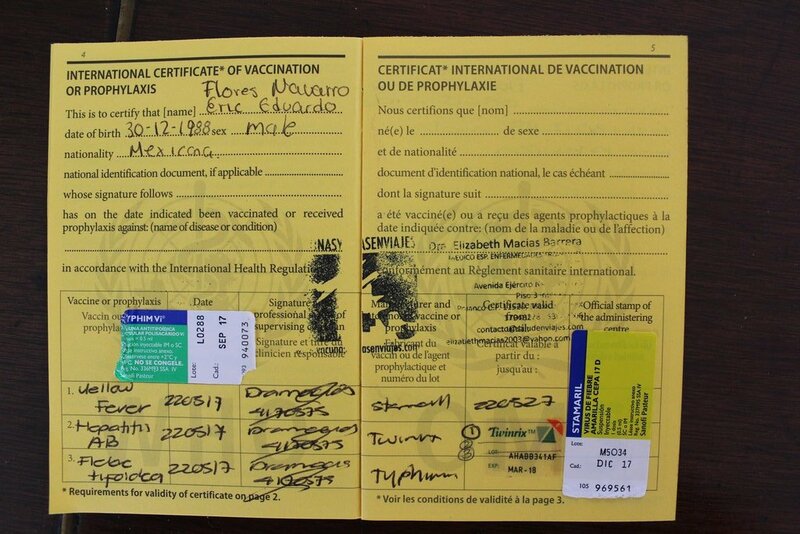 In reality the only vaccine that is mandatory to travel around the world is the Yellow Fever one and you need a special certificate from the World Health Organization (WHO) that aknowledges that you are vaccinated against it to enter some countries, especially in central and south America. 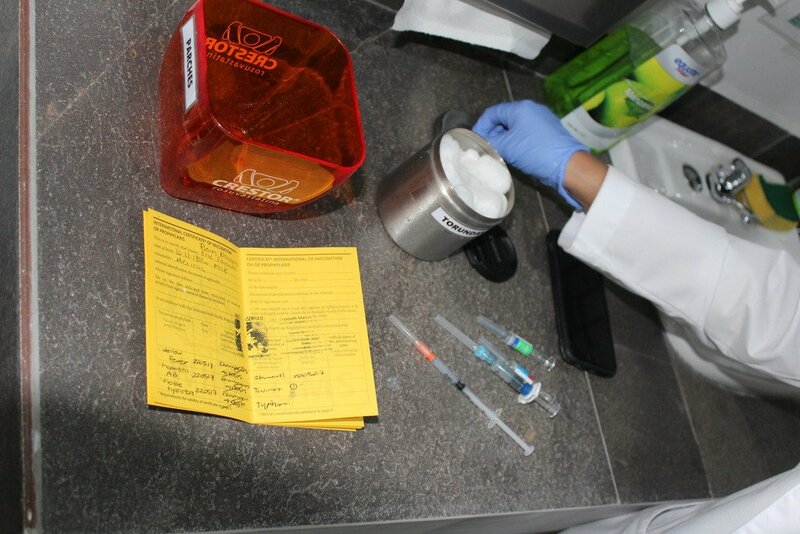 But that doesn´t mean that is the only vaccines you should take to have a not so risky trip. The possibility of getting sick or catching a virus while traveling is very high and as a traveler we should be as prepared as we can to avoid unnecesary risks and also have a contingency plan for every problem you might encounter, including getting sick. It doesn´t mean that you have to have a response to every posible scenario but at least you have to know the consecuences and symptons of every disease you might catch in every country. My doctor didn´t advised me to get the Malaria pre-treatment but gave me the pills in case I get contagied, they are 12 pills and are extremely expensive but hey, rather that than having Malaria in Peru. My advice is, if you are traveling to various countries and are going on a few months trip, specially if you plan staying in hostels and meeting a lot of people, you should consult a profesional and get vaccinated, even if you are not planning on being on risky situations or going camping, it is better to prevent than to be sorry. Make sure the vaccines are issued by an organization linked with the WHO. And as a last recommendation, make SURE that you had breakfast and have your defenses high; Some of these vaccines have contraindications and you might get dizzy, headache and nausea as a side effect, especially if you get them all at the same time. I didn´t had breakfast and went to get my blood tested earlier and now I feel kind of, just kind of dying hehe.